Let’s all take a moment to appreciate Egyptian-American superstar/heartthrob, Rami Malek, who seems like he’s going to keep charming us with his broken Arabic every once in a while. 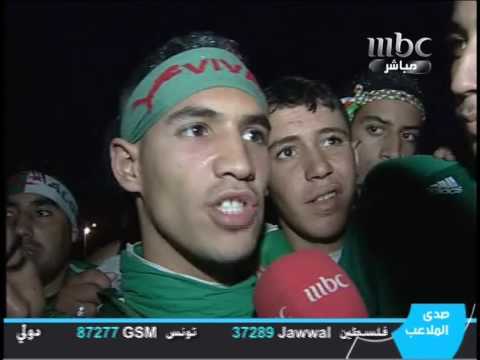 Last year, a BBC Arabic interview by Husam Sam Asi with Malek went viral as the Mr. Robot lead actor spoke in his parents’ mother tongue. It was the first time for us, Egyptian fans, to hear him casually utter words like shukran, masr, and Alhamdulillah; Arabic for thank you, Egypt, and, thank God consecutively. We were all surprised with our jaws dropping. Now, after finally getting used to the actor’s accent, he is no longer hesitant to throw in an Arabic word here and there during his interviews with the Arab media. Lately, two more interviews began circulating on social media; one with Patrick Abboud and another one with Husam Sam Asi. He mainly talked about his new lead role in the biopic, Bohemian Rhapsody, portraying none other than Queen’s legendary Freddie Mercury! Add to that some extra juice on Malek’s ethnic background, his expectations, and even things you probably never knew about Mercury! Bearing Malek’s Egyptian roots in mind, the actor probably never thought he’d go beyond roles like King Tut’s for instance. He didn’t have high expectations for himself in the industry as it was not that easy for an Arab to make it big in a place like Hollywood. Today, Malek is proudly a Primetime Emmy Award winner, he also has earned himself the Critics’ Choice Television Award for Best Actor in a Drama Series. And now, his role in Bohemian Rhapsody might be Malek’s gate to even more nominations and who knows, he might land himself an Oscar! Turns out that Freddie Mercury is nothing but a stage name for Farrokh Bulsara. He was originally born in Zanzibar to Parsis parents and lived in both India and London. Later on, when he formed Queen, he legally changed his name to Mercury. Hence, they’re both immigrants who made it to the big-time when they thought they couldn’t! Pierce Brosnan says it's time for black or gay 007, but what about an Arab James Bond? Arabs Got Talent: So Far So Mediocre?